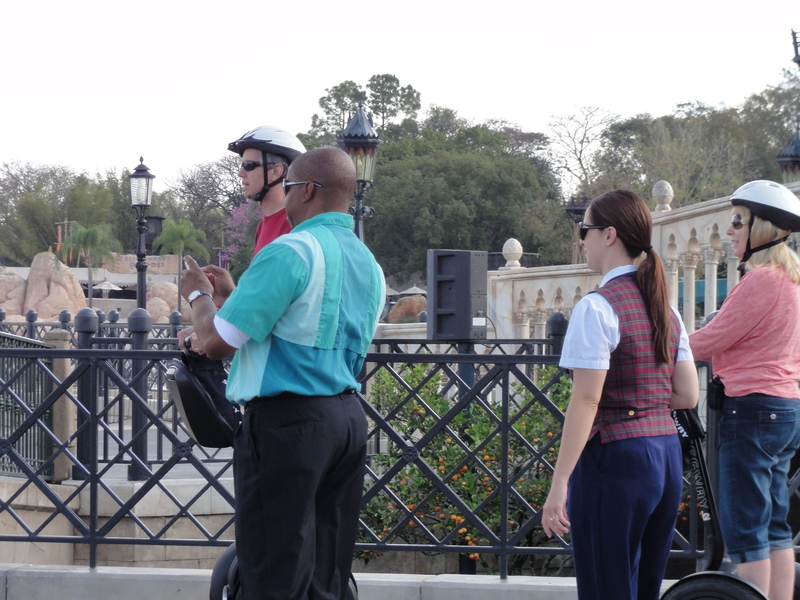 Epcot Segway Tour is Cancelled – Wherefore art thou Lamonte? I had planned to write a quick review of the awesome Segway tour I had the joy of experiencing a few weeks ago, “Keep Moving Forward: See the World, Share the Dream”. Sadly, now I’m writing a retrospective. As reported on Touringplans.com this week, the tour has been cancelled and Disney is calling customers already booked to refund their purchase. If the tour ever returns here’s the type of thing you might experience. First, I met up with our group at the Guest Relations office to the left of Spaceship Earth. We had a nice group of 9 people for the 8:30am tour on January 29. After signing up, we were met by our awesome trainer, Lamonte and escorted over the the training area in Innoventions. Lamonte (with an E) has been conducting the 8:30am M-F training for 12 years. He’s very aware that he is a little bit famous having been blogged about numerous times, and makes sure that the bloggers on the tour spell his name correctly. He’s also a fantastic trainer. I was very nervous, having absolutely 0 coordination and even worse balance. But he took it step by step, and I felt confident very quickly. 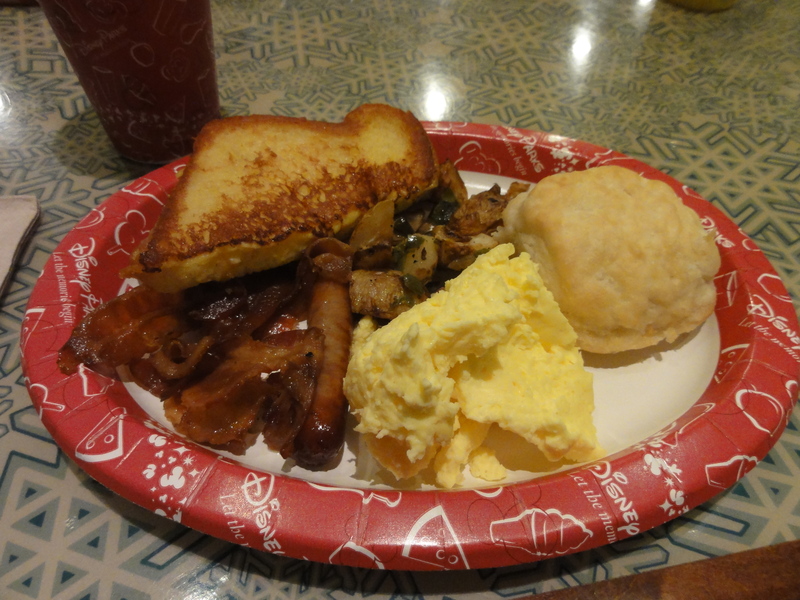 So after the training, everyone heads to Sunshine Seasons (via the cast member entrance to The Land) for breakfast. Before the tour begins you have the choice of a full breakfast or a continental, for the same price. Everyone in my group chose the full breakfast. But it was good to have a break, because riding a Segway is more tiring than you might think. I’m guessing it’s an isometric thing. 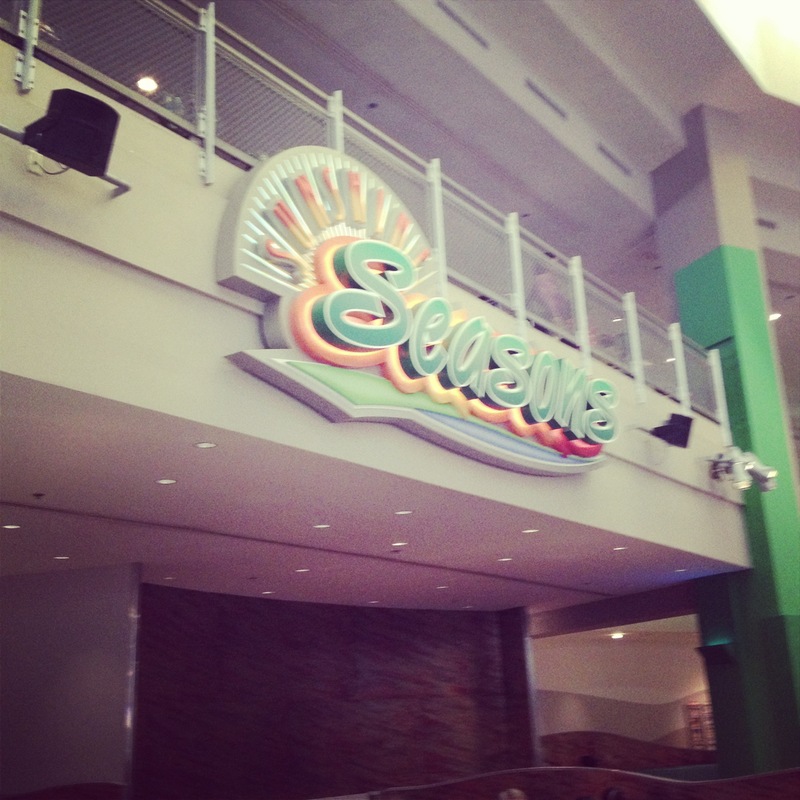 Anyway, it gives you a good chance to grab a FastPass for Soarin’ if you haven’t already done so. Then, we were off to World Showcase. Because the tour ran before World Showcase opened for the day, once we were past Norway it was pretty much empty. We were equipped with transmitters and ear pieces so that we could hear our tour guide, and set off single file around the world, checking out each country along the way. We zipped through the China pavilion, toured through the model trains in Germany, and visited the cute little gardens in the back of the American Adventure. Once we hit Italy and slalomed through the columns at the Doge’s palace, Lamonte and our tour guide Clementine set up cones so that we had a great spot to just buzz around on our Segways. It was also time for a photo op. Look, I really did it! Finally, we made our way through the remaining countries. Morocco and Japan are already two of my favorites, and they’re especially serene and beautiful with no crowds, while you zoom through silently. It’s sort of nice to be a foot taller, also – you notice things you wouldn’t have noticed otherwise. By the time we hit UK and Canada, World Showcase was open, and we had to maneuver through crowds a bit. People are a little bit clueless when wandering around Disney (this is news?) and so it’s a bit hazardous to drive a completely silent vehicle through them. We returned our vehicles to Innoventions, received our special pin, and said goodbye to Clementine and Lamonte. I really hope Lamonte is still conducting the training somewhere at WDW – maybe over at the Fort Wilderness tour. He’s a gem. 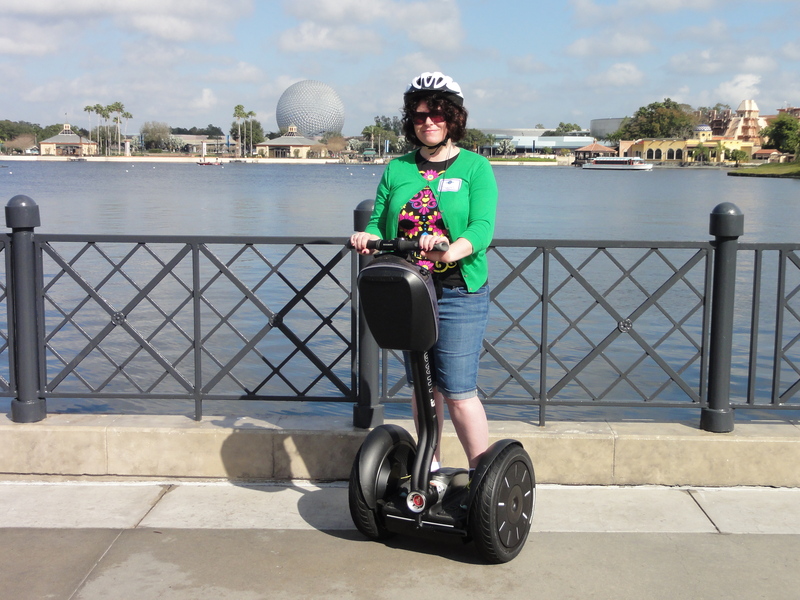 Did you get a chance to experience either this tour or the prior Epcot Segway tour? Share your experience in the comments!